Pharrell Williams seems to have found the fountain of youth, but according to him it's nothing supernatural such as BEING THE UNDEAD. "I wash my face," the 40-year-old producer told TimeOut. Oh. Okay then. 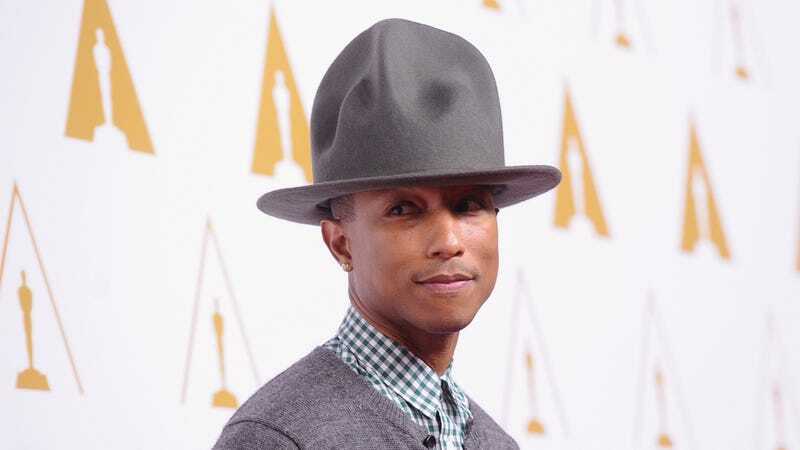 Because let's face it, Pharrell Williams does not look 40. And in a recent interview with TimeOut magazine, he was asked point blank if he is indeed a vampire. "No I am not. I'm willing to go on record as saying that I don't drink people's blood. How do I stay so young-looking for a 40-year-old? I wash my face," he said. Brandi Glanville says that Eddie Cibrian is asking HER for child support now, so something-something-nonsense-words-[POINT OF SOME KIND I THINK]. "2 all these young unmarried bloggers writing about getting over divorce¬ seeing ur children grow up 1/2 the time, walk a mile in my shoes," the Real Housewives of Beverly Hills star tweeted Tuesday, her post apparently directed at those who would claim that she's the one who keeps rehashing the issues between her, Cibrian and his current wife, LeAnn Rimes. She added: "Im not taking cheap shots at my ex in my new book cuz its all true,&now mr fancy new cars&house man is asking ME for child support! Uknownada." Gwyneth Paltrow's rep had denied a claim—circulated via the new "secret-sharing app" Whisper—that the actress had an affair with some lawyer guy. Just as Paltrow's rep Stephen Huvane denied reports of an affair with Soffer, he told Defamer allegations of an affair with Kevin Yorn are "absolutely 100 percent false. The sours [sic] at Whisper is clearly a fake." And after Defamer made an attempt to explain the app to Huvane, he said, "This is clearly a fabricated story with no credibility at all," later adding that the only time Paltrow recently saw Yorn was on a flight from New York to Los Angeles, and Yorn was "coincidentally [also seated] in the first class section." "I cannot be more clear with you when I say she is NOT having an affair with Kevin Yorn and I will be notifying her attorneys as well," Huvane reiterated to the website.